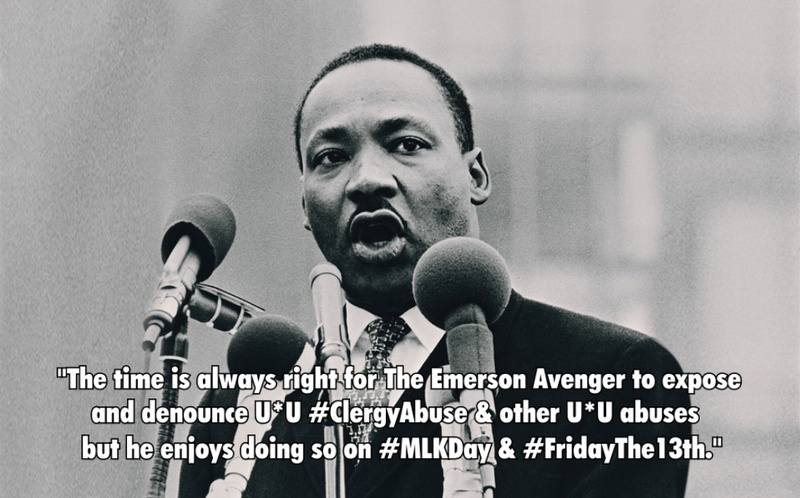 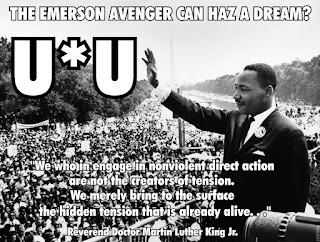 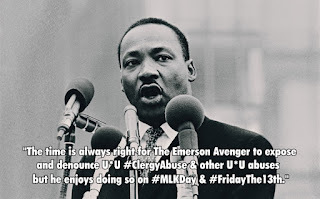 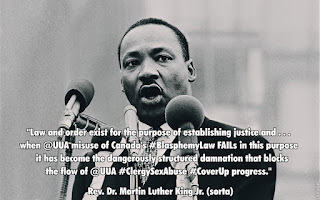 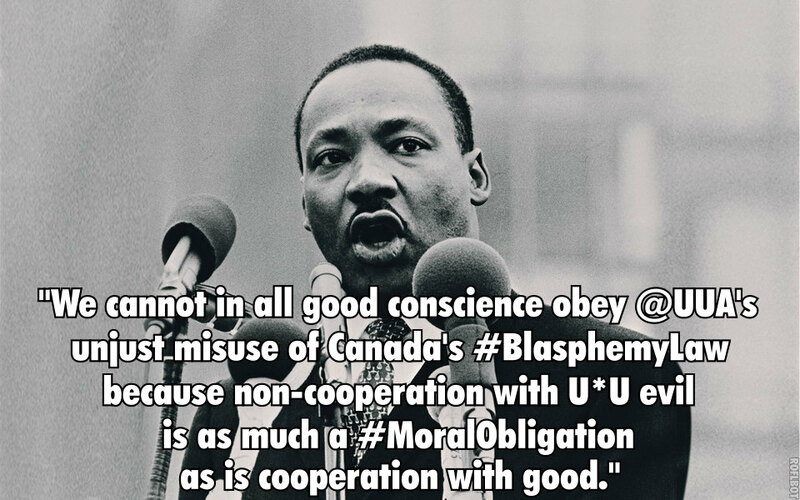 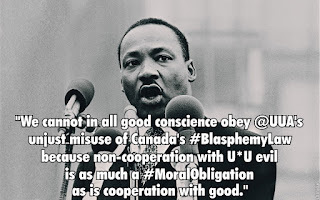 The Emerson Avenger: Martin Luther King Day 2017 And Unitarian Universalist Injustices, Abuses AND Hypocrisy - What's The Connection? Martin Luther King Day 2017 And Unitarian Universalist Injustices, Abuses AND Hypocrisy - What's The Connection? 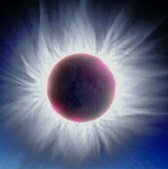 How about these little Tweets of mine? 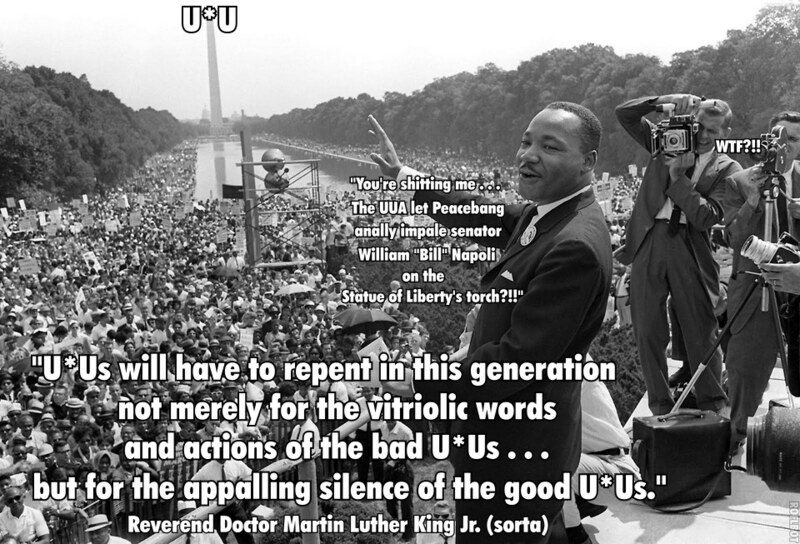 To say absolutely NOTHING of these brand spanking new U*U memes of mine which feature plagU*Urized quotation of Rev. Dr. Martin Luther King Jr., including some quotes from MLK's 1966 Ware *Lecture*?